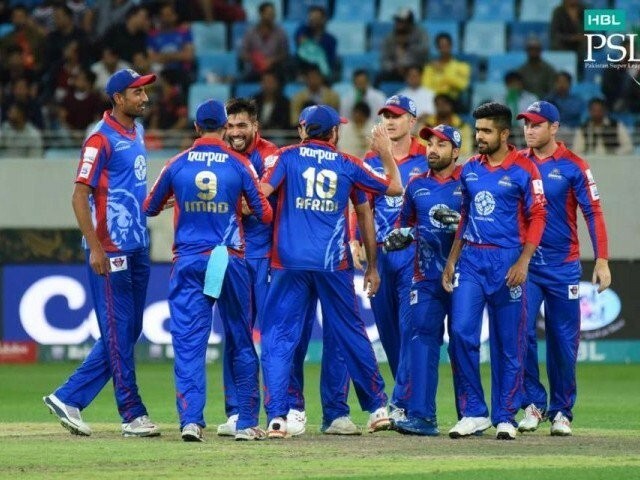 The Karachi Kings started the 2018 season of the Pakistan Super League (PSL) confidently, by winning their first three matches in a row. This is a historic moment for the Kings in the tournament, especially as they were able to beat the mighty Quetta Gladiators, something they have failed to do in the previous two seasons of the PSL. For the third season, the Kings made a few strategic changes in their squad. They appointed Imad Wasim as a skipper, and were also able to rope in the legendary all-rounder, Shahid Afridi, for their squad. Before this season, Afridi was part of Peshawar Zalmi and was instrumental in their success. Now, his impact and influence is visible in the initial victories of the Kings. In the second match of the tournament against the Gladiators, Afridi caught a breathtaking running catch, which resulted in the dismissal of a well set Umar Amin. 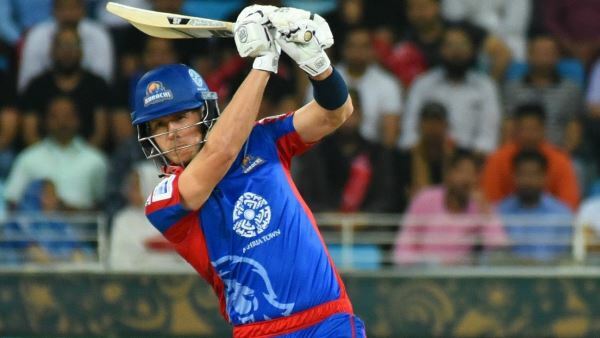 Credit should be given where it is due, as his catch effort was pivotal in the Kings’ victory over the pre-tournament favourites and two-time PSL finalists, the Quetta Gladiators. 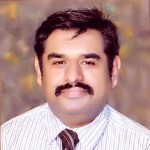 There is a sense of pride that the people of Karachi associate with their team. Their love for the Kings was evident from their celebration in various localities of the city recently, after the team defeated the Peshawar Zalmi. People were joyous and distributed sweets and cakes to celebrate the massive victory against the reigning champions. This year’s PSL is still in its early days, which is why the Kings need to maintain their intensity and continue to press the paddle. After all, would it not be exhilarating for them to play the final in front of their own crowd at the National Stadium? PSL is also a good platform for Wasim to learn the traits of captaincy, and his performance just might help him regain his lost spot in the national team. Even though he made a few mistakes in the first couple of matches – the most glaring one being his decision to bowl the first over of the innings against Zalmi in front of Kamran Akmal, who took the full toll of his over – he still has ample opportunities to get back on track. Fortunately, in the match against Zalmi, Mohammad Amir and other talented bowlers in the squad were able to save the day, and restricted Zalmi to a modest total. The boys managed to successfully chase the score, and registered their second victory in a row in the tournament. Karachi Kings’ strategy of playing Khurram Manzoor as an opener is debatable, as he proved to be a liability in the first two matches. Even when talking about statistics, Manzoor’s strike rate in the T20s is barely reaching 80s, despite the fact that players prefer to have a strike rate of over a 100 in this particular format. Going forward into the tournament, the Kings need to replace Manzoor with a better player, and might be better served if they use the skills of Babar Azam and Joe Denly as openers instead. As the saying goes, “better late than never”, which is exactly the approach the Kings should take. England’s skipper Eoin Morgan will be joining the team in the later stages of the tournament, and his experience will prove to be immensely helpful for the squad. From the early days of domestic cricket, Karachi and Lahore have been regarded as the breeding ground for the future of Pakistani cricket, and have managed to raise some of the best domestic talent. However, thus far in the PSL, both the Karachi and Lahore teams have underperformed and disappointed their fans. Though the third season has surprised audiences with some great performances by the Kings, the Lahore Qalandars are once again disappointing fans by consistently staying at the bottom of the ranking. When the time finally came for a showdown between Karachi and Lahore, third time proved to be a charm for the Kings, who defeated the Qalandars by 27 runs. Though the latter controlled the match during both innings, they failed to maintain the pressure on their opponents at crucial junctures. The Kings were reeling at 128/7 after 18 overs, but due to poor planning and slackness on part of the Qalandars, they were able to score 31 runs in the last two overs. I am at a loss of words to see an inexperienced Shaheen Afridi being given the chance to bowl the last over of the innings. He proved earlier in the match that he was expensive for the Qalandars, as he kept giving away runs, yet he was brought back. Even in his final over, he conceded 18 runs and damaged the chances of winning the match. I cannot fathom the decision process behind using Shaheen at such a sensitive stage of the innings. Sohail Khan and Shaheen conceded 84 runs in the seven overs they bowled against Karachi Kings. In my view, this decided the game and made defeat inevitable for the Qalandars. They struggled with the bat too, and slid from 70/1 in 6.3 overs to an all out at 132 in 18.3 overs. Talk about things escalating quickly, or in the case of the Qalandars, deescalating quickly. Even though a huge reason for the Kings’ win was a horrid performance on part of the Qalandars, their players also did not slip up and took every chance they got from the confused side and made the most of it. They finally settled the long on-going debate of biryani versus pulao, and as we all know, biryani emerged as the winner! In their next match, the Kings will lock horns with the Multan Sultans, the new entrants and the dark horse of PSL 2018. The Sultans made a strong statement in their debut tournament and are sitting pretty close to the Kings, on the second position in the points table. It would be interesting to watch the Kings versus Sultans match, as three of the key players of the latter – Shoaib Malik, Kumar Sangakkara and Kieron Pollard – were part of the former’s squad in the previous season. Since these players have had “eyes on the inside”, they might use the knowledge of their opponents to their advantage. Karachi Kings’ batting wobbled in the initial stages of the tournament, and they will need to work on it before they meet the Sultans. In my view, Sangakkara and Mohammad Irfan are the key players for Sultans, whereas a fit Amir is vital for the Kings’ cause. Whatever the result of the match may be, I am sure cricket fans inside the stadium and those watching on TV cannot wait for this exciting and high voltage event. The great performance of the Kings thus far has left fans hopeful for this season to be the one where they take the cup home. While we eagerly anticipate the next match, let’s hope the team works on its weaknesses and maintains its position at the top of the board. Karachi Kings may have won three in a row but don’t get your hopes too high, please. Any turnaround can come anytime.